From a Slinky to an artificial heart to a supersonic jet engine, nothing moves without a mechanical engineer. By turning energy into motion, mechanical engineers put the “go” in scooters and race cars and everything in between. Look around the house. Something in every room involves mechanical engineering. You’re cold, you want to turn up the heat. Mechanical engineers work with heating and air-conditioning systems, and probably anything else that either moves, hums or goes whizz, click, burp, or buzz. Your automatic toothbrush, for example, or your alarm clock, Dad’s fishing reel, the blender, the refrigerator—even your doorknob. Ever wonder how the juice got in your juice box? Or how your baseball cards were printed? Mechanical engineers have a hand in everything that is manufactured. They design the machines that make and package products that come to you the right way, every time. Don’t forget robots. Mechanical engineers have designed them to go everywhere, especially to places where it’s impossible or too dangerous for people to go. Equipped with special sensors, robots can search out survivors in damaged buildings, or venture into live volcanos to gather information for scientists, or investigate the Titanic at the bottom of the sea. And tell your parents there are robots for mowing the lawn too. Camera-carrying Manbo, a Japanese robot about the size of a breadbox, braved high levels of radiation too dangerous for humans in its voyage to the bottom of the sea to find the fuel that escaped the Fukushima Nuclear Plant six years before. After previous attempts with other robots, engineers refined the technology and Manbo proved successful! OK, so you won’t be thrilled about this. But mechanical engineers dreamed up the machinery that lets your dentist polish your teeth, give your mouth a shot of air or water, and, if necessary, put the drill to those teeth painlessly. Maybe if you become a mechanical engineer, you can figure out a way to make the whole thing a lot more fun! Today’s fountains are fun! Some even put on a show, with water sprays timed to lights and music. Mechanical engineers play an important part in getting it all to work. Ever wonder how those crayons got in the box, all correctly labeled and no two alike? You guessed it, mechanical engineering was there. Machines put the glue on the crayon labels, wrap the labels around each crayon, and drop the finished crayons in the right box. Creating a hyper-realistic artificial limb or foot to let amputees walk easily again is no small feat. 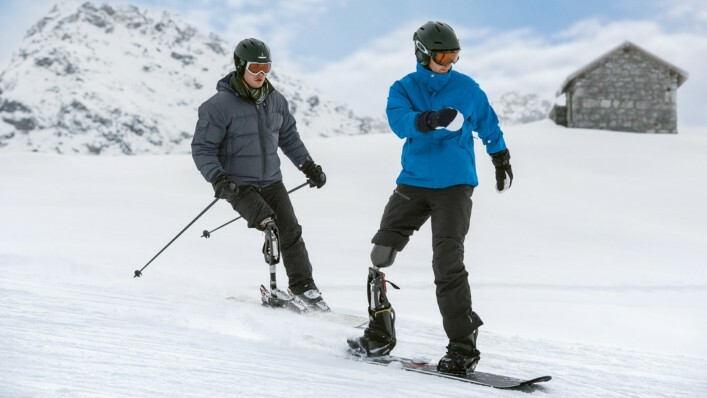 Mechanical engineers are constantly refining that technology and developing new prostheses to enable disabled athletes to get back to doing what they love—even if it means snowboarding or skiing! The latest thing in elevators? Cars that travel up, down, left, right, and diagonally—no it’s not the Wonkavator, the Willy Wonka Great Glass Elevator. Run via magnetic levitation (maglev), these multi-directional elevators can move passengers more efficiently within a building…and let architects design higher skyscrapers in more unconventional shapes. Sure, solar energy is good for the planet. But solar farms are often located in harsh desert conditions and who’s going to clean all those panels in the sweltering heat? Robots are on the case, already cleaning millions of those panels a month, more quickly and economically than humans! Imagine sitting in a sleek pod that accelerates slowly in an airless tube and proceeds to float above a track at speeds faster than an airplane. Goodbye to friction and gravity! You’re talking Los Angeles to San Francisco in 30 minutes…a distance that would take about an hour and a half gate-to-gate to fly, and more than 6 hours to drive. Sound interesting? From California to the Czech Republic, Abu Dhabi to India, people all over the world want to try it out, and many different kinds of engineers are working to make it a go. Based on mechanical and other types of engineering, the super cool athletic shoe now even ties your laces for you. If you have a pair, you already know that you simply step in and whoosh, your foot hits a sensor and the laces automatically tighten. Just do it! South Korean mechanical engineers have made supermen out of shipworkers. All they have to do is put on their robo-suits and they can pick up heavy chunks of metal like they are toothpicks. The term is robotic exoskeleton, and mechanical and electrical engineers think that in the future the suits can help the workers lift more than 200 pounds.